Firms included in the 2018 “Best Law Firms” list are recognized for professional excellence with consistently impressive ratings from clients and peers. Achieving a tiered ranking signals a unique combination of quality law practice and breadth of legal expertise. The 2018 rankings are based on the highest number of participating firms and highest number of client ballots on record. 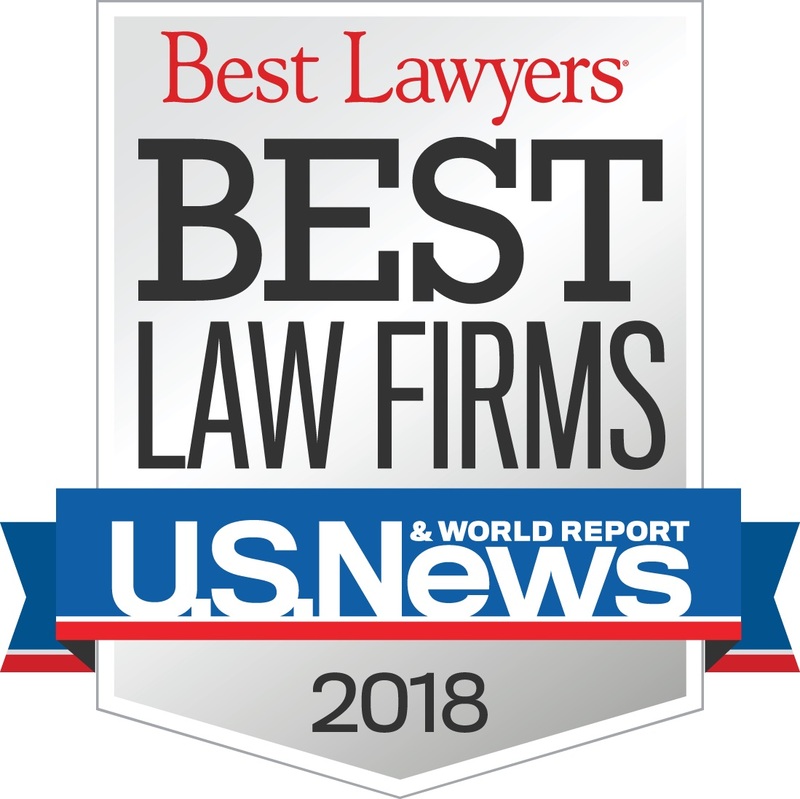 To be eligible for a ranking, a firm must have a lawyer listed in The Best Lawyers in America, which recognizes the top 4 percent of practicing attorneys in the U.S. Over 13,000 attorneys provided more than 1,000,000 law firm assessments, and over 7,500 clients provided more than 65,000 evaluations. Awards were given in 75 national practice areas and 122 metropolitan practice areas.